16th of September, 2004 followed by the U.S release on May 1st, 2005, The Aussies got hold of it on June 9th, 2005 and then finally releasing in Europe on October 21st, 2005. 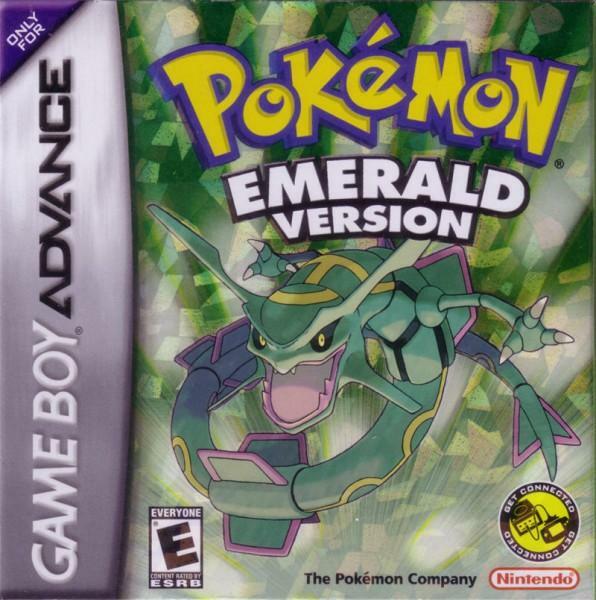 Emerald was the second best selling game in the U.S in 2005. It was also one of the most succesful Game Boy Advance titles overall, ranking third best-selling GBA title of all time - it was only surpassed by Ruby & Sapphire, FireRed & LeafGreen. The story for Pokemon Emerald is largely that of it's paired title predecessors: Ruby & Sapphire, click here to read their story. There are however subtle differences which are covered under 'storyline differences' in our Changes & Features from R&S section. The Hoenn region is unstable — Rayquaza has awakened! Your skills as a Trainer will be challenged like they've never been challenged before as you try to maintain balance between Kyogre & Groudon. Prove your skill by earning Badges & gaining access to Battle Frontier — the front line of Pokémon battling that offers a whole new level of competition. Never-before-experienced battles await you! The third adventure with new episodes in the Hoenn region! Tons of new features, including surprising plot twists and changes to where and how often you can catch certain Pokémon! Use the Game Boy Advance Wireless Adapter to trade & battle between Pokémon Emerald and Pokémon FireRed and LeafGreen versions. Expand your collection when you trade with a friend. Using a Game Boy Advance Game Link™, link up with Pokémon Ruby & Sapphire, Pokémon FireRed & LeafGreen, or connect with Pokémon Colosseum using a Nintendo GameCube® Game Boy Advance cable. See instruction booklet for more details. Some Pokemon from the Hoenn Pokedex are absent in Pokemon Emerald and can only be obtained via trading with another Gen III title. Additionally Surskit CAN appear in the wild in Emerald but only if its mixed records with a copy of Ruby or Sapphire and utilised swarming. There's no other way to catch Surskit in a standalone copy of Emerald. There are two new oppurtunities to capture Groudon and Kyogre. Groudon can be captured at Terra Cave and Kyogre can be captured at Marine Cave. They are both at higher level than when you caught them in Ruby and Sapphire. International releases of Pokémon Emerald didn't include e-Reader support. So if players wanted access to e-Reader exclusive items they'd have to mix records with fellow GBA titles Ruby, Sapphire, FireRed or LeafGreen in order to access e-Reader exclusives. Contests now take place in Lilycove City. Berries can be used to lower effort values and raise friendship. Once you complete the Hoenn Pokédex (minus Jirachi and Deoxys) you can go back to Professor Birch and he'll allow you to choose between one of the Johto Starters; Chikorita, Cyndaquil or Totodile. In Emerald, Deoxys is encountered in it's Speed Forme. Battles with Magma and Aqua played the standard battle theme and used standard trainer battle animation in Ruby and Sapphire. In Emerald however each of the teams have their own team's theme playing during battle and have their own set entry animations. Double battles can be triggered whenever the player gets spotted by two trainers at once, making them more frequent than in RS. The Roaming Pokémon of the Hoenn region; Latias and Latios can be chosen immediately after you defeat the Elite Four. The one you don't select will move down to the Southern Island which can only be accessed with the Eon Ticket promo item. New trading restrictions are in place in Emerald. When the player has only a regional Pokédex they can only trade with Ruby, Sapphire and other Emerald carts. Once the player gets the national Pokédex however you will be able to trade with fellow GBA titles: FireRed and LeadGreen as well as the Gamecube's Pokemon XD: Gale of Darkness. These restrictions also apply to eggs. You can trade with Pokémon Colosseum simply by having the Hoenn Pokédex. Where only one villainous team took on the role of main antagonist in the previous titles (Magma for Ruby, Aqua for Sapphire) in Emerald both teams are running rampant and will cause mischief for the player. Both teams will also fulfill their goals of awakening their sought after Legendary Pokémon, Groudon and Kyogre who then lock into a battle. Rayquaza, Emeralds legendary mascot is an important part of the plot in Emerald. Rayquaza is summoned to stop the destruction that the battle between Groudon and Kyogre is causing, as it threatens to decimate the whole of Hoenn. 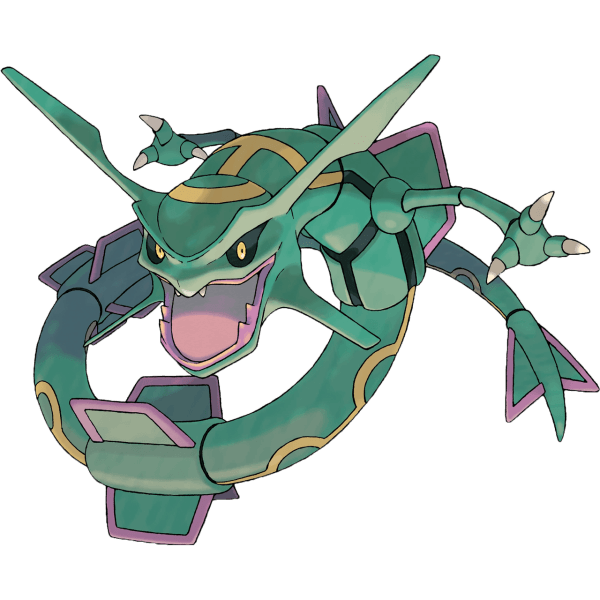 Rayquaza is the only one of these ancient Legendary Pokémon that can be captured before taking on the Elite Four. A new NPC named Scott was added in Emerald, he will encounter the player several times throughout the main story. Eventually fulfilling his purpose by inviting the player to the Battle Frontier once they've defeated the Elite Four. Check out our Battle Frontier Guide for Ruby, Sapphrie and Emerald for more info. The Sootopolis Gym has a new leader; Juan. 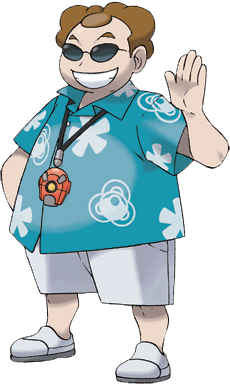 Wallace the former Sootopolis Gym Leader has since become the Champion of the Hoenn region. 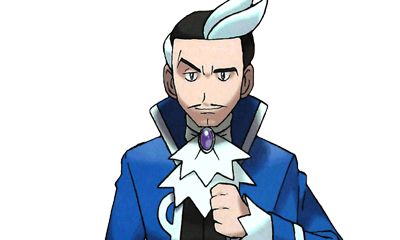 Once the Elite Four are defeated; The former Champion of RS - Steven can be battled at Meteor Falls, he has the same Pokémon he did previously but they're all 20 levels higher. Brendan and May have gotten changed since the previous titles, their new clothing is a little more green in line with the 'Emerald' theme. Interestingly when you find Prof. Birch being chased, this time it's a Zigzagoon chasing him. But the plot thickens, The first Pokémon trainer you fight in Emerald after your rival will be using a Poochyena instead of a Zigzagoon. So it seems whichever Pokémon that trainer didn't capture will be the one to anatagonise the poor old Professor. Brendan/May's home previously had a Machoke in it, theres now a Vigoroth there. In the Japanese version of Emerald the Vigoroth actually still has the Machoke's cry, but this was corrected in international releases. 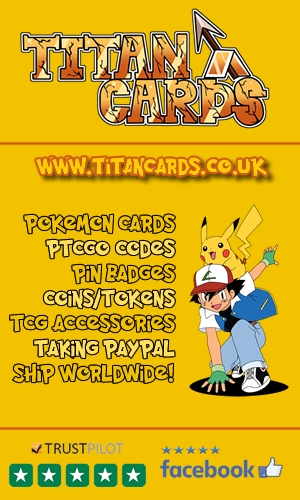 Move Tutors have been added which teach the vast majority of moves from LeafGreen and FireRed with only the exceptions of Frenzy Plant, Blast Burn and Hydro Cannon. There are also some who teach moves you could previously only get via TM's in Gen II. For the first time since Pokémon Crystal animated front sprites are back, and since Emerald have been considered standard for the core series games. Emerald also introduced animated back sprites. On Route 101 it was a young boy blocking the way, in Emerald it's a young girl. Since the events of Ruby and Sapphire all of the gyms have had a little decorative overhaul and had some bits moved around, presumably to accomodate double battles. The Mossdeep Gym has for example got a new puzzle maze challenge. The gyms now also display their gym badges behind their leaders. When you battle a legendary Pokémon they have an extended pre-battle animation prior to starting the actual battle. Wireless linking is available in the Union Room, just like in FireRed and LeafGreen. The Pokémon Jump and Dodrio Berry picking wireless mini games can be played in Mossdeep City's game corner. These act as replacement for the e-Reader trainers house in RS. A Pokémon's PP counter now changes colour according to how much PP they have left. The game text is much more similar to FireRed / LeafGreen's. When a Pokémon is successfully captured a stars animation pops from the Pokéball. There is a Mystery Gift system just like in FireRed/LeafGreen, which in the Japanese version requires either e-Reader usage or GBA Wireless Adapter usage in Japan. Internationally released versions can only access the Mystery Gift system via the GBA Wireless Adapter as they don't have e-Reader support. The Legendary Pokémon Battle theme from FR LG is used when you take on Ho-Oh and Lugia at Navel Rock. During the Deoxys encounter on Birth Island it plays both the Deoxys Appears and Battle! 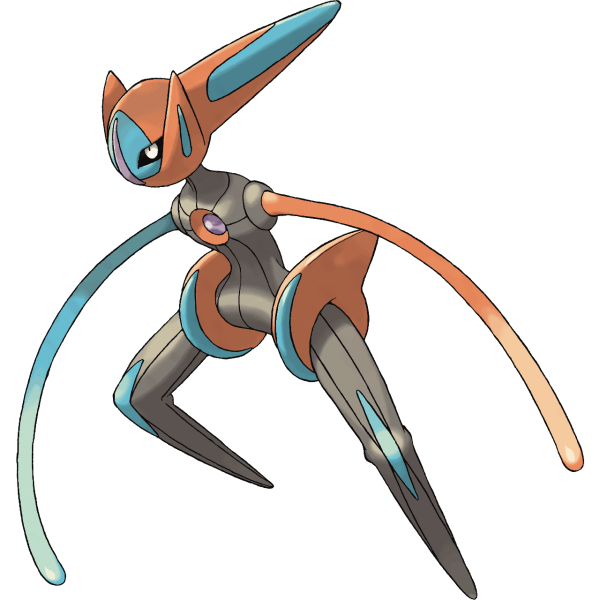 (Deoxys) themes from FR LG. When you take on Mew at Faraway Island the Battle! 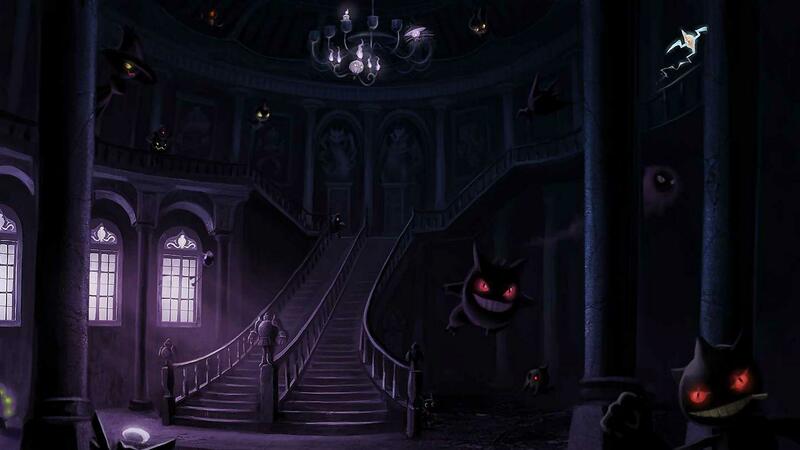 (Mew) theme is played, which is a pumped up, more dramatic version of the Battle! (Legendary Pokémon) theme. Check out these videos of Pokémon Emerald including TV Commercials and the games intro. A TV commercial for Pokemon Emerald, aired in the USA and starring a really sinister looking kid. A Japanese TV Commercial for Pokemon Emerald. There was a special promotional version of Emerald available in a collectors tin which included a Frontier Pass for people who pre-ordered the game. Pokemon Emerald was the last instance of a Pokemon game with a colour themed cart (Green). Some people may argue that Pokemon Black was the last to have a themed coloured cart as the DSi cartridges are black, but this wasn't a conscious decision to 'theme' the cart to match the games colour namesake, it just happened to go down that way. The PRNG engine used in Emerald was faulty, the same one used in Gen III and IV. Meaning it's not actually very random at all in some instances, for example even after multiple resets a Pokemon will have exactly the same personality values. This problem isn't fixed by reloading the game either, the PRNG only refreshes when a new adventure is started meaning the personality values of Pokemon you encounter will follow in a predictable sequence. At the end of Pokemon Ranger, both Groudon and Kyogre appear in Fiore. The two appear to be injured from a battle, Emerald states that this battle took place in Hoenn. Perhaps during the same timeframe as Pokemon Emerald was set. It's theorised that The Mirage Tower in Pokemon Emerald could be a reference to the tower of the same name from Final Fantasy. The similarities don't stop at the names, they're both based in the desert and include a spiral-shaped dungeon. They also only appear when certain criteria are met. Pokemon Emerald was the final core series title on the Game Boy line of platforms. Both titles remove the Battle Tower and replace it with a Battle Frontier. Both titles allow you rematches with Gym Leaders once the National Pokedex is obtained. You can catch both of the Legendary Pokemon of the original pair of games in both Emerald and Platinum. Both titles introduce a third legendary Pokemon which was never referenced in or by the original pair of games. Pokémon Emerald sold 6.32 million units in total, netting 256 million USD worth of sales. It's popularity was immediately apparent; particularly in Japan where it sold 372,000 on day of release and by the end of the first week had sold a massive 791,000 units in Japan alone. It sold a total of 1.4 million units that year in Japan, making it Japan's 4th best selling videogame of 2004 overall. The only games which ranked above Emerald that year were; Dragon Quest V: Hand of the Heavenly Bride, fellow Pokémon titles; LeafGreen and FireRed (their combined sales outweighed Emerald) and Dragon Quest VIII: Journey of the Cursed King. Interestingly more than half a decade later in 2010 Pokémon Emerald ranked 779th in Japans top 1000 selling games of 2010 list as it had sold a further 7,724 copies that year, no other Game Boy Advance titles featured in this list. In the U.S it was topping videogame charts in May 2005, and although it lost it's #1 spot to Grand Theft Auto: San Andreas in June 2005, it stood strong in second for a while afterwards. Pokémon Emerald was the second best selling game in the first half of 2005 for the USA. 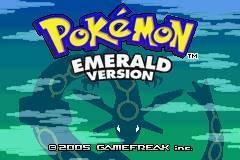 IGN Reviewer Craig Harris gave Emerald 8 out of 10 which equates to Great on the IGN Scale and commented "Pokemon Emerald's special edition additions are minor but numerous, and collectively they admittedly do improve the Pokemon experience" in reference to Emerald's differences over Ruby/Sapphire. Ryan Davis from GameSpot scored Emerald 7.5 out of 10 and commented "Despite being made mostly of recycled parts, Emerald proves that the Pokémon formula still works. As a result, the game remains an enjoyably light RPG experience." The average score on Metacritic for Pokemon Emerald over a decade and a half since it's release is a strong 8.8 over 259 user ratings, and a score of 76/100 over 28 critic reviews. GameRankings has Pokemon Emerald scoring 76.65% over 29 reviews.